My name is Jay Richards, and I am proud to say that I have been a resident of the South Shore of Nova Scotia my entire life. After completing my elementary and secondary education, I attended the NSCC Lunenburg Campus, where I received my Business Administration diploma. I went on to gain my REALTOR® Sales Person Licence and my Broker’s License. Since then, I have continued to upgrade my certification by completing many other courses and certificate programs related to the realty industry over the past decade in order to stay competitive with this evolving industry. Growing up, I saw firsthand the time, dedication, and commitment that is required to work in this market. As the son of Sandra and Bob Richards, the developers of two of the premier land lease communities in Atlantic Canada (LaHave Heights and Eisenhaur Place), the love of this work was instilled in me at a very young age and I couldn’t imagine dedicating my time to any other venture. One of the things that sets me apart in this industry is my cutting-edge use of technology to aid others in buying and selling homes. Through the use of high quality photography, drone footage, and video tours, I pride myself on having a keen-eye and am able to highlight all of the selling-features of your property. When purchasing a home, my collaboration center allows you to interact on-the-go with listings and be up-to-date on what’s new on the market in real-time. I offer a competitive 1% CASH BACK* on real estate and 4% LISTING COMMISSION, and no admin fees, ever!. As owner and broker of Holm Realty Ltd., I am able to offer superior service, at unparalleled value. 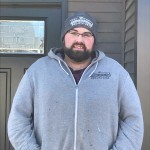 I am also the proud owner of The Home Centre, your Kent Homes Dream Builder for South Shore Nova Scotia, which enables me to provide my clients with quality custom-built, brand new, manufactured home construction. By nature, I am friendly, professional, dependable, and love to connect with others. I value people’s time and take the time to truly understand what my clients are asking for when they are selling a home, and what they are looking for in buying their new or next home. I am hard-working, driven and consider myself to be a problem-solver. I am passionate about the culture, the traditions, the landscape, and most importantly, about supporting the people that live here on the South Shore. But, what I love most about this career path, is helping people make their dreams in realty, a reality! Don’t hesitate, contact me today. Your dream home is waiting for you. 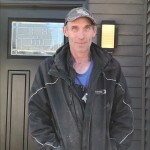 Dave brings to the Home Centre 14 years of experience in the Real Estate industry following a career in education. He has established himself in customer service and satisfaction. As a native of Lunenburg Co. and NS South Shore his knowledge of the area is extensive particularly as it relates to the waters between St. Margaret’s Bay and the LaHave Islands. Through his activities of golf, curling, and sailing, he can offer his client’s excellent insight to location of properties that meet his client’s recreational interests. Having educational pursuits in Western Canada, Mid and Southwestern USA in addition to New Brunswick and Northern Nova Scotia has given him a perspective to appreciate the tributes to living on NS’s South Shore. Having held Executive positions at the local, provincial and national level of community organizations such as Kinsmen, NS Curling Association and the Canadian Intramural Recreation Association has all lead to his attitude of service to his fellow person. Dave invites you to contact him with your housing needs and promises to let no stone unturned until you find your dream property. Contact him at 902 527 3029. Rachel was born and raised in Hebbville, then moved to Edmonton, AB after graduating from the Business Administration Program at the Nova Scotia Community College. She recently made her way back home to the South Shore and loves being here and helping her community. Rachel has a wealth of experience in a many fields. She worked in the Car Industry for 10 years, starting as a detailer and working her way up to Foreman. She also worked with multiple Advertising firms for 5 years, where her sales record exceeded that of her coworkers. Now, on top of being the Office Manager at The Home Centre, she runs her own Beach Art and Décor Company called Rachel’s Rocks To Riches. Her dedication and commitment to providing excellent customer service stands out from the competition. She is well-organized, self-sufficient, customer oriented and constantly learning about housing tips and trends in the area. While she grows her skills in the housing field, she invites you to contact her and start the conversation about your next housing choice. Bob came to Bridgewater in 1974 and joined a company called Bridgewater Mobile Homes. He raised his family in Bridgewater, which he calls home. In the past 44 plus years he started other housing related companies including The Home Centre Group of Companies. Those companies have supplied over 10 percent of all the new Single Unit Dwellings within the Town of Bridgewater as well as hundreds of homes throughout Nova Scotia. Bob has severed as President of the Manufactured Housing Association of Nova Scotia and The Manufactured Housing Association of Atlantic Canada. He has also severed on several Industry Boards. He has been a leader in the industry. Bob remains as an adviser to The Home Centre after turning the rains over to his son Jay, who has continued in his father’s steps by modernizing the Companies. Sharry McCarthy is originally from Toronto, Ontario and a graduate of Ryerson University, with a BAA in Interior Design. She has worked with Architectural firms in Toronto and Vancouver, as well as the Principal of her own design firm. She has earned extensive experience in the design, construction and sales aspects of residential and commercial design/build projects spanning a career over 30 years. Now, she happily calls Bridgewater, Nova Scotia home and is a part time team member at The Home Centre, a Kent Homes Dream builder, here in Bridgewater. Sharry is eager to share her expertise with the team and their customers. Working along with other team members can provide customers with a full range of services. She welcomes the opportunity to help you plan your new home adventure.